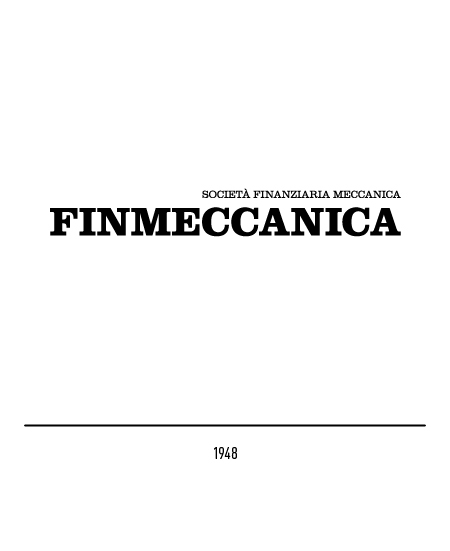 Finmeccanica was born in 1948 as ”SocietàFinanziariaMeccanica” (Mechanical Financial Society), as planned by the IRI “Istituto per la RicostruzioneIndustriale” (Industrial Reconstruction Institute) and under the control of the Italian government, in order to reorganize the industrial sector after the damages caused by the second World War. 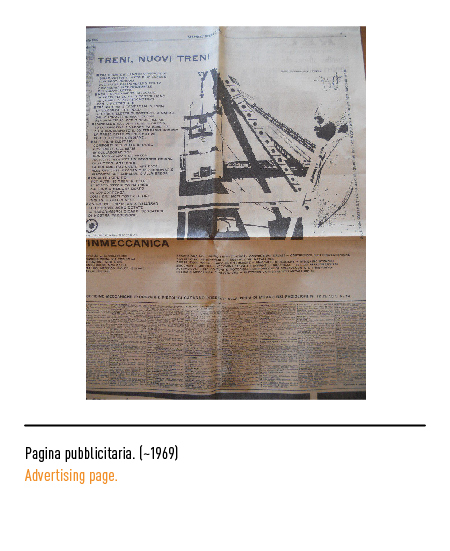 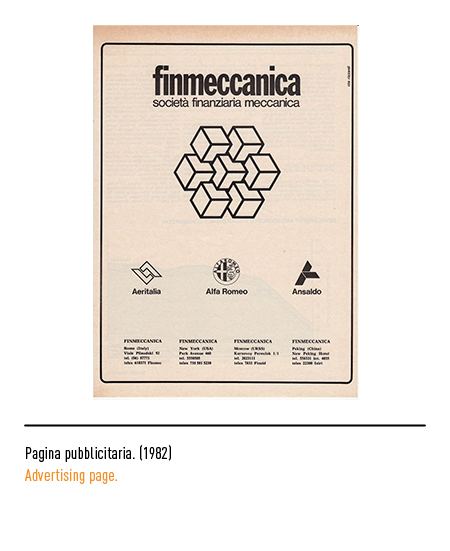 In the beginning, the logotype was identified simply by the name of the company, written in Clarendon font (characterized by its heavy traits), which was a perfect representation of the Italian “heavy machinery” company; this mission was also fortified by the publishing of the company’s magazine “CiviltádelleMacchine” (Machine Civilization). 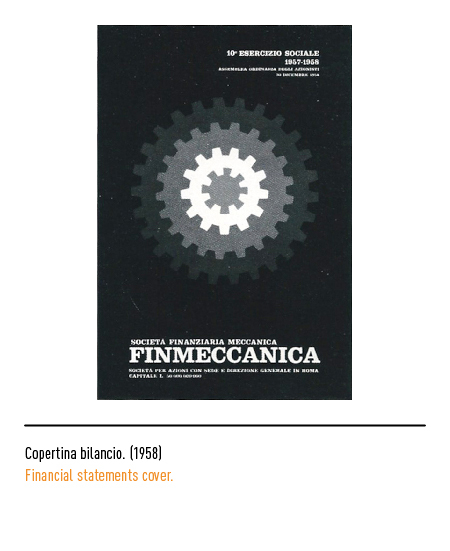 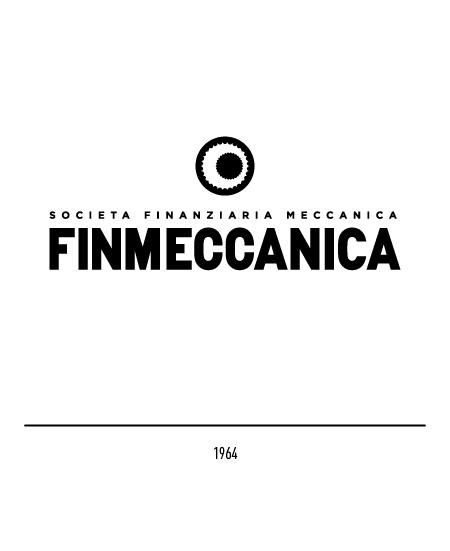 The first real logo appeared on in 1964, always paired with the name Finmeccanica: a cogwheel, a further exaltation of the industrial nature of the institution. 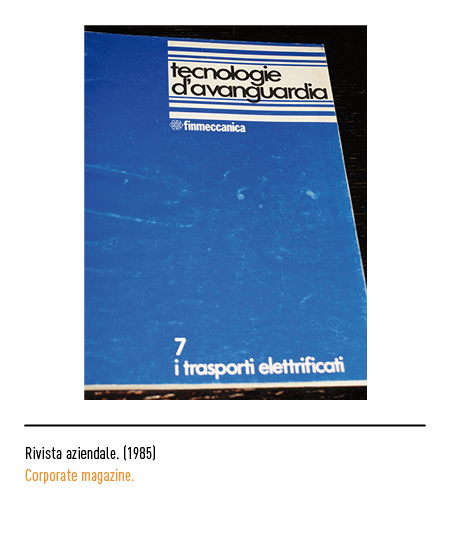 After leaving the shipyard’s market in 1978, consolidating their assets in the thermos-electro-mechanic field and constantly developing their assets to tackle more technologically advanced fields such as the electronics and aerospace industry, the company created the very first brand for their holding: a chain of cubes, which expressed the will to go forward and evolve of the Italian industry. 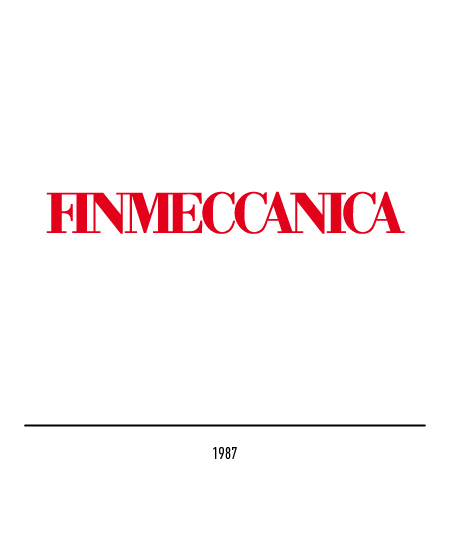 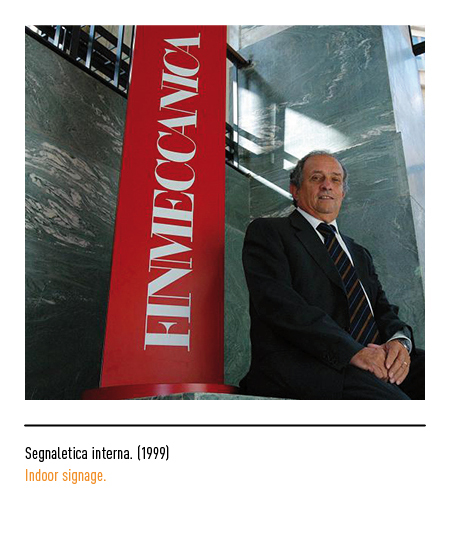 In 1987 Finmeccanica enters the stock market; we are now looking at a holding company with a strong technological base, with the will to enter the global market and compete with its international competitors and with a policy consisting of constant investments to maintain the excellence in its core departments. 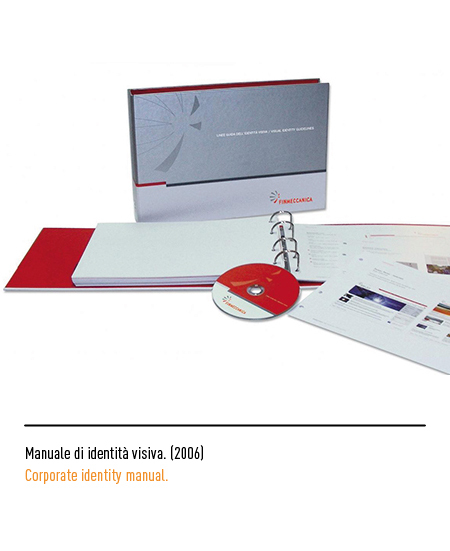 Therefore, the brand is renewed and the logotype returns to being the only identifying trait of the company; it had been designed by Edindustria (another offshoot of Iri), while the visual identity system had been planned by the Inarea agency. 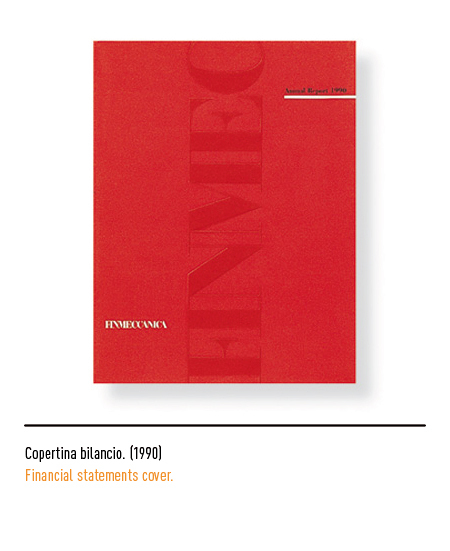 The choice fell on a red lettering, with a Bodoni font, to symbolize the Italian roots and traditions of a company which was now emerging in and conquering the international scene. 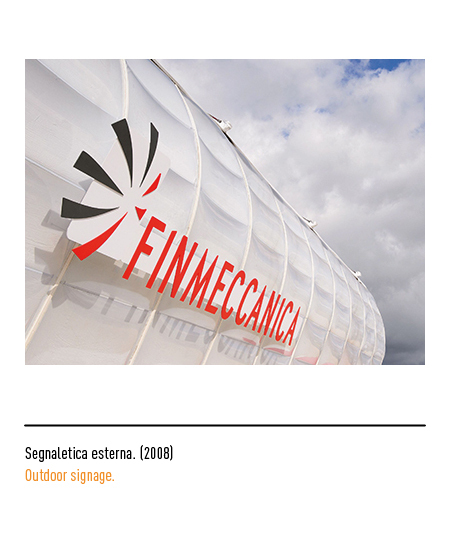 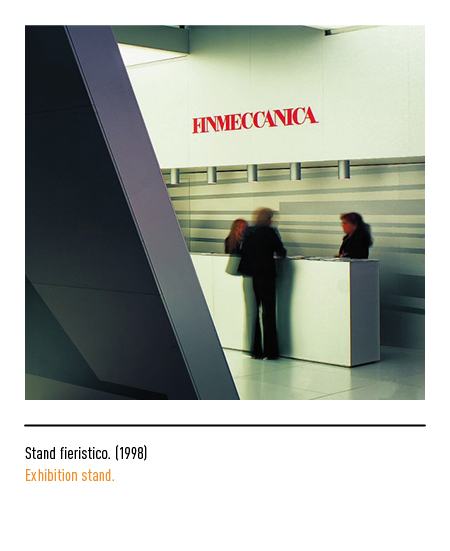 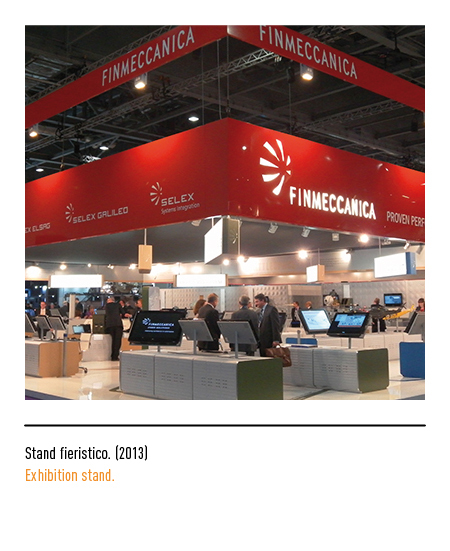 At the turn of the century, Finmeccanica finally found its way, which consisted of becoming a leader in the aerospace, defense and security fields; the visual identity of the group is still very fragmented, and its international desire creates the need for a brand which is recognizable also outside the Italian borders. 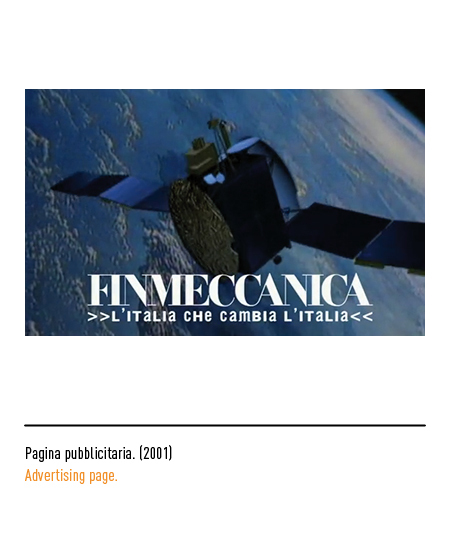 In 2006 Finmeccanica decides to change their logo and their overall brand (appointing the Carrè Noir agency with this task) in order to create a homogenous and coherent communication, and give a common identity to the different sectors which make up the structure of Finmeccanica. 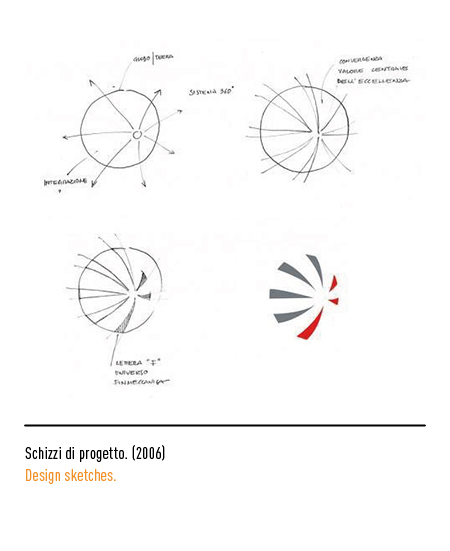 The result is a sphere made up of 7 petals, representing the different sectors in which the company operates; a sphere which also represents the global market which Finmeccanica wants to lead. 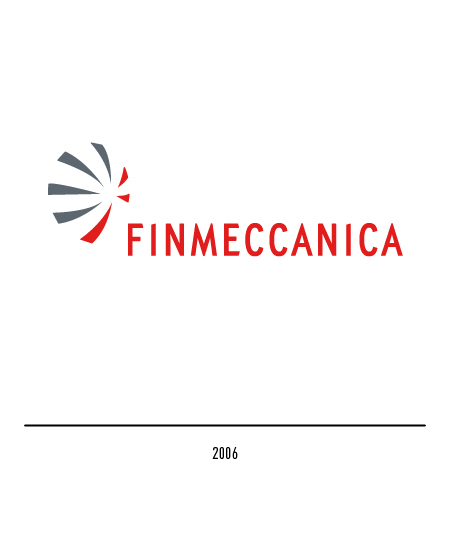 The primary colors of the logo are red and grey; the red petals of the sphere also make up the structure of the “F” of Finmeccanica. 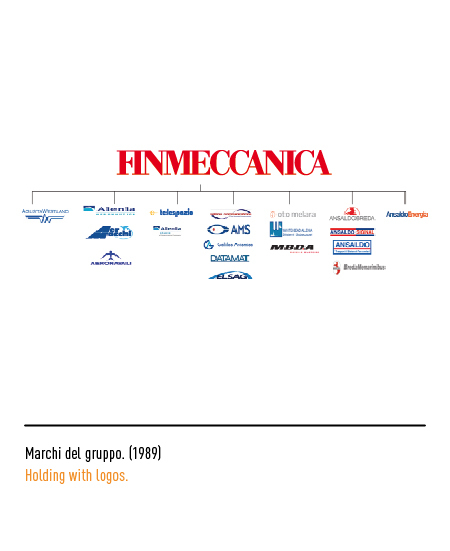 The logotype paired with it is all in capital letters and very linear; all the Finmeccanica offshoots are always shown together with the main logo, to represent the team-spirit which drives their commitment. 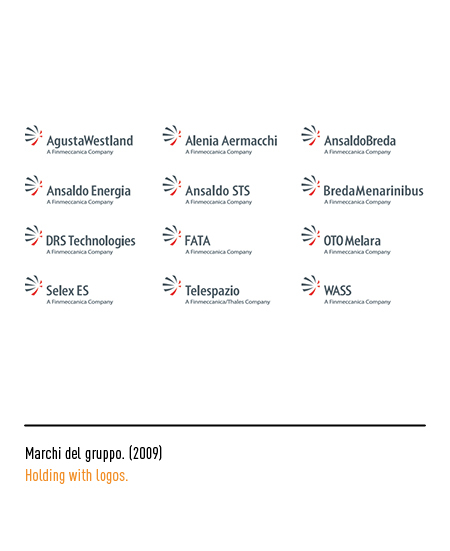 In 2012, a further change appears: less importance is given to the logo in comparison to the logotype. 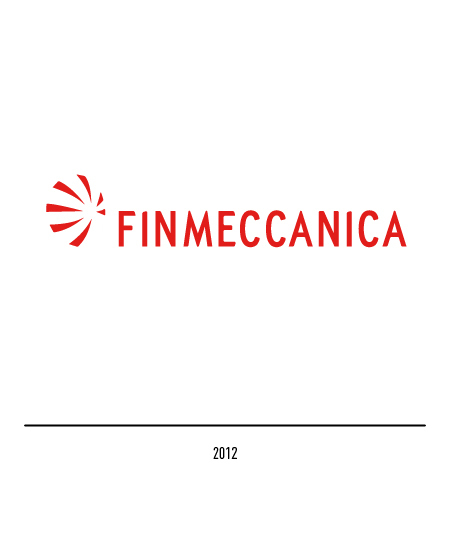 2016 marks yet one more step in the growth of Finmeccanica: from a holding made up of several companies, it becomes now “One Company”, a singular industrial entity in which all the different activities are integrated under one name. 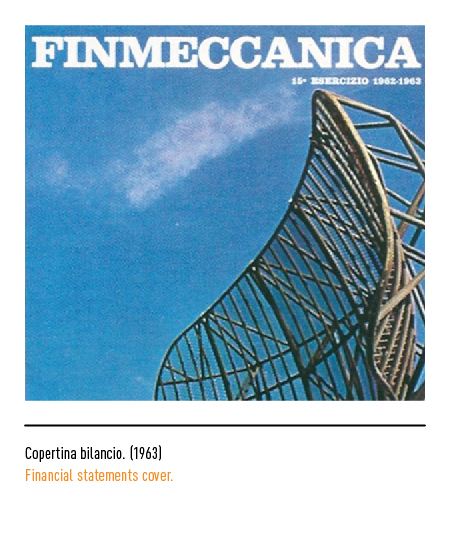 The name which represented it for more than 60 years, it’s not adequate anymore; Finmeccanica is not a financial union (Fin), but a company completely focused on the products and services relying on high technological skills which do not reflect the original mission (Meccanica). 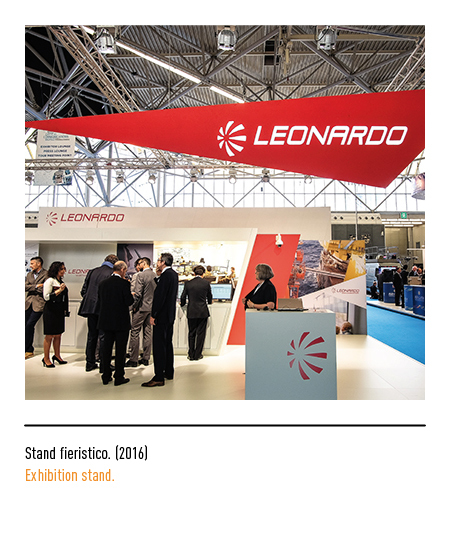 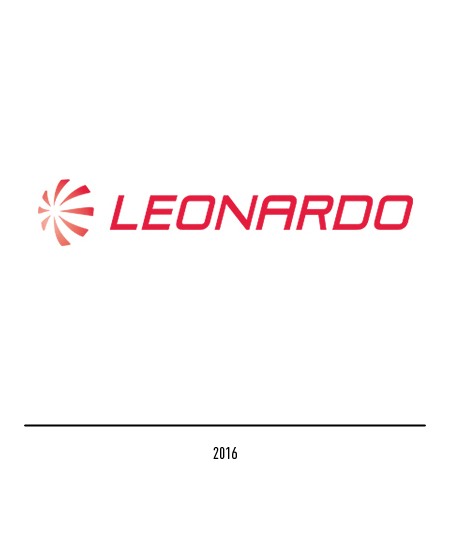 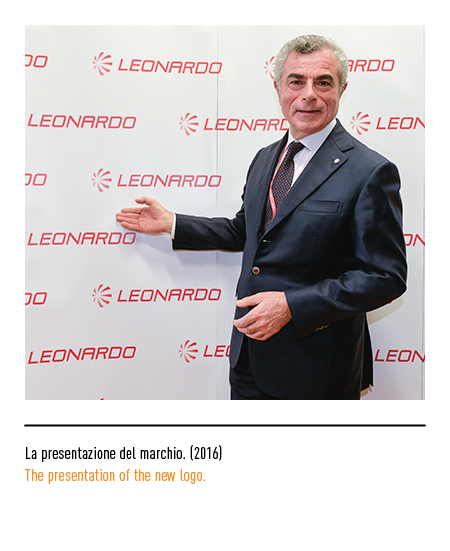 This is the reason behind the new name, Leonardo, inspired by the Italian genius, but that stands also for continuous improvement, research and creativity on a global scale. 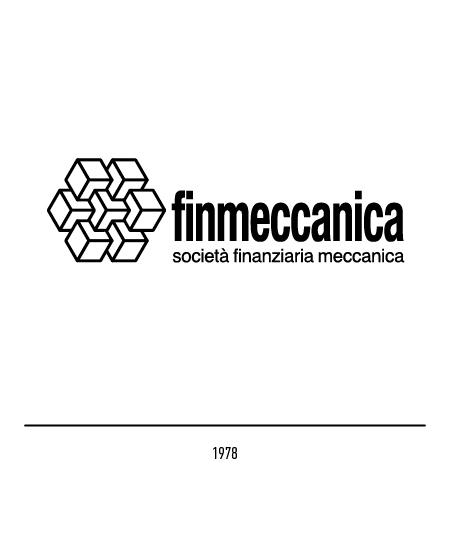 The logo keeps a memento of the past tradition, with a sphere now made up of spokes which give an impression of movement, but it introduces also two new elements which characterize the new mission of the company: the pictogram has changed direction, meaning also a change in mission as previously stated, and the spokes are now 8 (as opposed to the initial 7), as propellers which are constantly turning.